Q. What is ZERO TO? 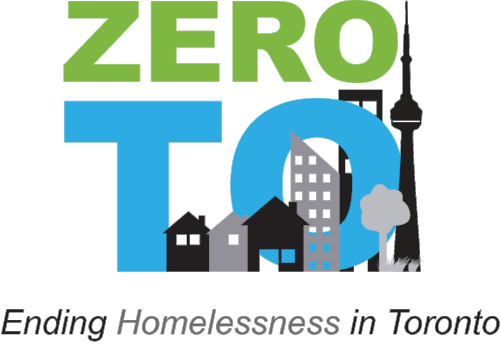 ZERO TO is the Toronto Alliance’s to End Homelessness’ campaign to end chronic homelessness in our city. It is based on work being done internationally along the Built For Zero model – a set of practices and tools that support communities in redesigning their local systems to achieve and then maintain zero chronic homelessness. Our campaign builds on many successful work/programs/approaches already underway in different areas. Q. What is the Timing for ZERO TO? Launched in May 2018 with the goal of reaching zero homelessness by 2025, ZERO TO aligns with the previous provincial government on Ontario’s commitment to do the same by then. Q. How can zero chronic homelessness be achieved? Success in ending chronic homelessness means having no one experiencing long-term homelessness. In order to do this, we are mobilizing a collective approach to get to one coordinated system that works to achieve and maintain Functional Zero chronic and episodic homelessness in Toronto. Functional Zero is when we reach a state where we have more capacity in our housing and support system than we have people who are experiencing homelessness. The TAEH believes it is achievable, but only if we all are working together, with a shared vision and action plan. We have to focus on changing the system. Disrupting it and the way we think to do things better, so rather than relying on an organization-by-organization or program-by-program approach, system coordination aims to develop a framework for the delivery of initiatives in a purposeful and strategic manner for a collective group of stakeholders. We also have to build on Housing First, a philosophy that recognizes housing as a human right, already noted in Toronto’s Housing Charter. Housing First approaches propose that recovery should begin with stable housing rather than requiring people experiencing homelessness to first resolve the challenges that contributed to their housing instability including addictions or mental health issues. Housing first focuses on securing housing for people experiencing homelessness quickly and then – or concurrently – providing supports necessary to maintain it. Q. What are the steps to ZERO TO? A. One By-Name List - Our work starts by creating one, coordinated in-flow and out-flow system that includes real-time information for every person who becomes homeless in Toronto. This is often known as a By-Name List which we have to build and maintain to end homelessness. The new federal homelessness prevention strategy (HPS) understands this and is tying the next 10 years of funding to the requirement of implementing local By-Name Lists. B. Coordinated Access - A Coordinated Access System (CAS) is a standardized process for access, assessment, and referral for housing and other services across agencies in a community. Based on best practices, communities across North America are implementing Coordinated Access Systems (also known as Coordinated Entry and Assessment) to connect people experiencing homelessness with housing and supports efficiently and effectively. C. Coordinated Assessment - This refers to employing a single standardized assessment tool in Toronto, that everyone in the housing delivery system uses to initially screen a person’s needs and other key issues related to housing. The purpose is to determine the appropriate level, intensity and frequency of support required for participants. It is also a way to introduce more equitable approach to assessing and matching people to services and supports. D. Prevention and Diversion - Prevention and diversion allows participants to be empowered to independently resolve their housing issues. A coordinated access system can help identify those who can be rapidly re-housed before their homelessness becomes chronic. And the information gathered will allow better planning and interventions beyond the homelessness and housing service system to prevent it in the first place. Toronto Alliance to End Homelessness (TAEH) is a community-based collective impact initiative that recognizes the critical importance of working in a new way towards a common goal. Our vision is zero chronic and episodic homelessness in Toronto and our mission is to mobilize the collective impact necessary to effect change in Toronto and maintain zero homelessness. The road to ending homelessness begins here.